Groove Dance School – All Ladies Dance School! Pole Dance. Aerial Silk. Aerial Hoop. Exotic Dance. POLE. SILK. HOOP. EXOTIC. LAP. Groove’s pole dance classes are suitable for all ladies, regardless of dancing experience, fitness level or body shape. Our classes are conducted progressively for all students to grasp every dance move at ease. Don’t worry if you can’t perfect the move the first time, as all dance moves are revised in every class. With pole, you don’t need to be fit to do it, you do it to get fit. 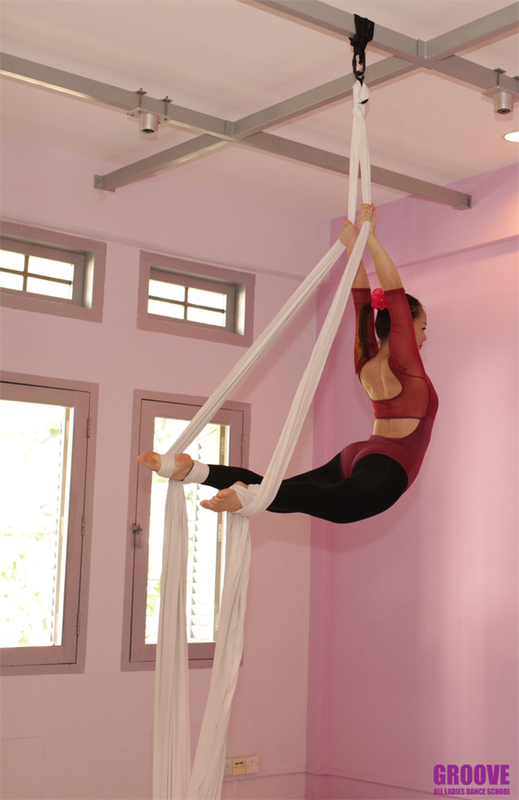 Aerial Silk is an art form with moves and techniques done on pieces of silk fabric and it can be incorporated into one’s fitness regime. 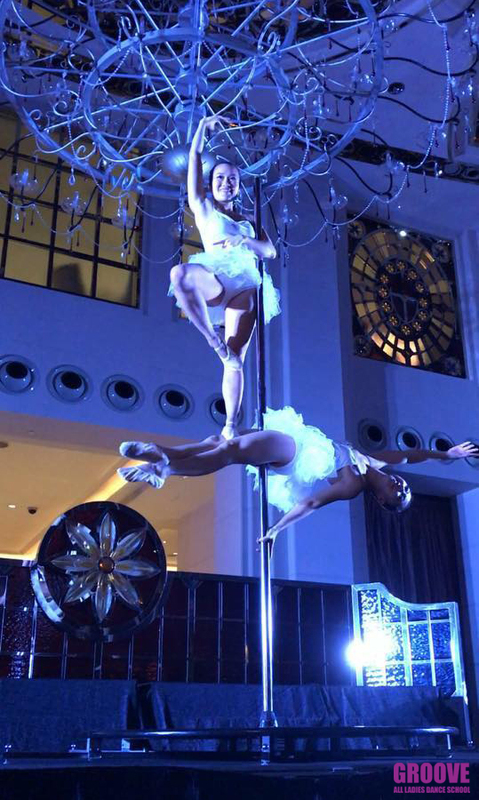 Aerial Silk is also regarded as a type of dance that requires strength, flexibility, balance, control, and grace to master. Not only is it a fun activity but also gives you a total body workout! We have moved to a new studio Groove@Pearl located at 195 Pearl’s Hill Terrace and are in operation from 04-Mar-2019! Groove@Pearl comes with extended opening hours from 6am – 12mn daily! Entry to Groove@Pearl is via digital door code. Get your personal unique door code to access Groove@Pearl by registering courses or practice sessions with us!